There are a few books coming out that I’m really excited about. If you read this blog regularly, you should be excited about them, too. First, Dan Attrell’s translation of the Picatrix is finally available for pre-order. I interviewed him back on episode 29 of My Alchemical Bromance and have been eagerly awaiting his book. Second, One Truth and One Spirit: Aleister Crowley’s Spiritual Legacy, Keith Readdy’s book about Aleister Crowley, the OTO, and other cool Thelema stuff is available for pre-order. 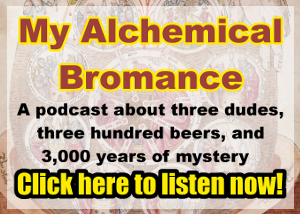 I interviewed Keith about his book in episode 40 of My Alchemical Bromance. Go check out those two books and add them to your list! The featured image for this post is “Old books” by David Flores on Flickr.